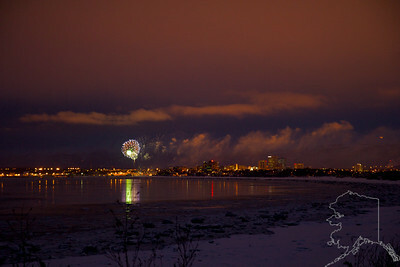 Anchorage looking from Earthquake Park. 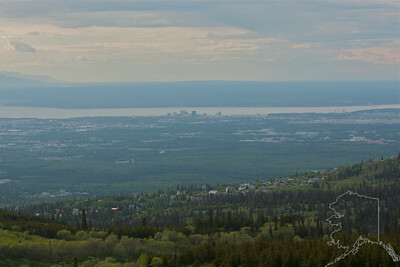 Anchorage from Flat Top Parking Lot. 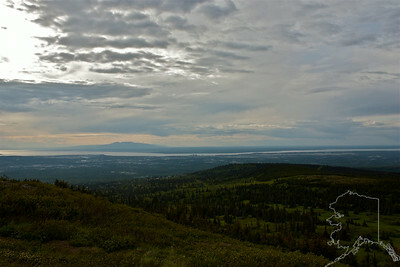 Anchorage and Sleeping Lady from the parking lot of Flat Top. 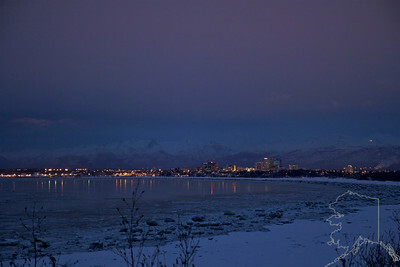 Anchorage on a Winter morning. 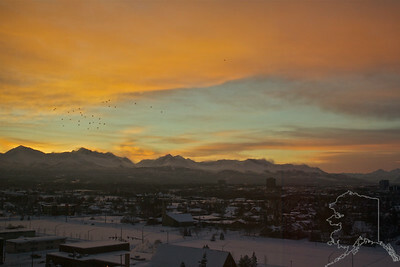 This was taken on February 4, 2012 Look closely at the mountains and you can see the wind is blowing the snow off. The black spots to the left are pigeons. This shot was taken out of the hotel window. 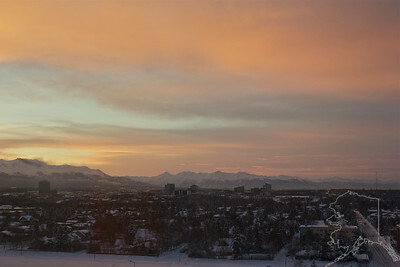 Anchorage on a Winter morning. This was taken on February 4, 2012 Look closely at the mountains and you can see the wind is blowing the snow off. This shot was taken out of the hotel window. 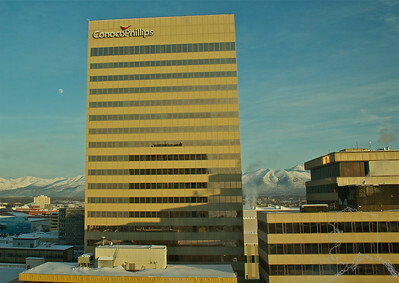 One of the Big oil companies in Anchorage. To the left of the building you can see the moon. 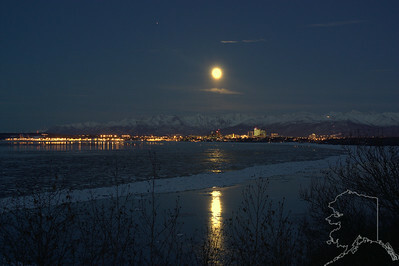 Anchorage on a winter night with a full moon. 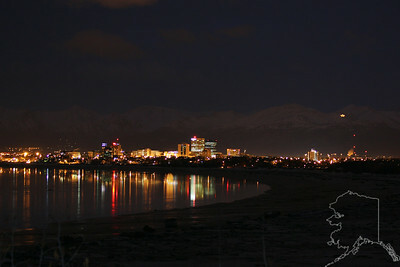 Anchorage on a winter night. 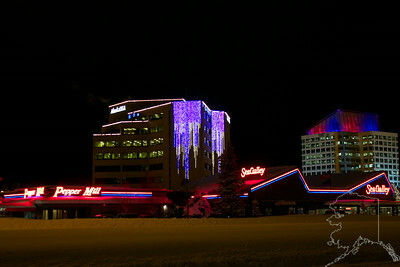 The star you see is lit at Thanksgiving and is turned off when the last musher comes in to Nome in the Iditarod Dog Race. 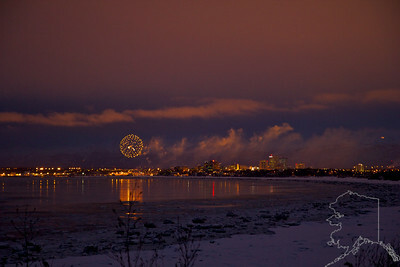 This view of Anchorage is from Earthquake Park. 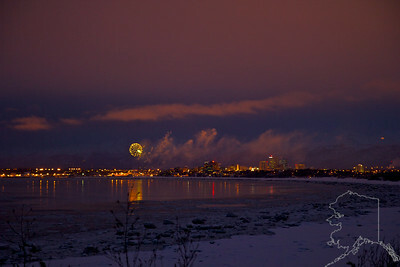 Anchorage on a winter night. Alaska USA is a bank and The Sea Galley is a sea food restaurant. 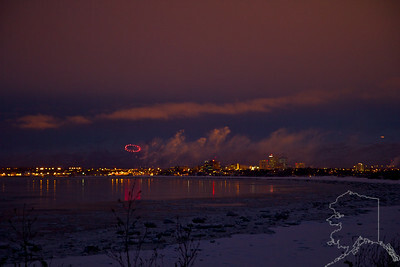 Fur Rondy Fireworks shot from Earthquake Park.